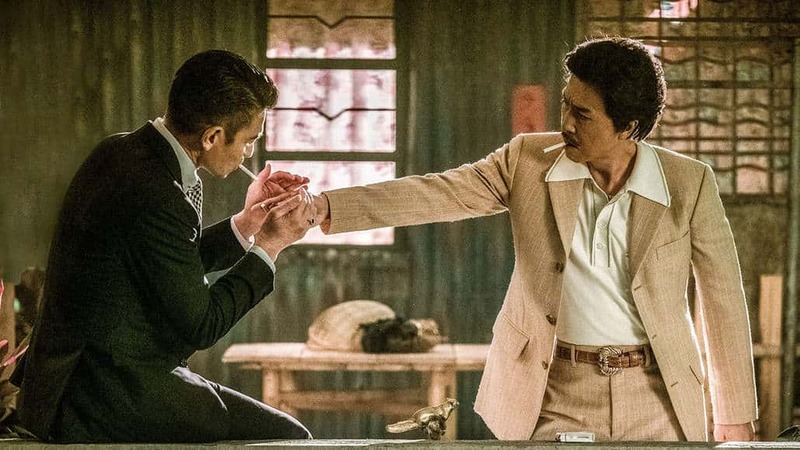 Donnie Yen and Andy Lau are the embodiment of brotherhood in Well Go USA’s Chasing The Dragon. They practically ruled the streets of 1974 Hong Kong as two of the most infamous outlaws on record. Both Donnie and Andy Lau give fiery performances that surely equaled the passion and zest of their real-life counterparts. Chasing the Dragon is based on a true story, which is even more thrilling and scary. The Blue-Ray combo will drop on January 23rd. You’ll definitely need to cop that because watching it once will not be enough. If you are a fan of Scarface, arguably the most iconic gangsta movie ever, this movie is for you. That’s basically what this story is like, except in China. Donnie Yen stimulates the senses as China’s real-life drug lord, Cripple Ho. Cripple Ho is merciless and cold-blooded but with a deeply ingrained sense of loyalty. It is that loyalty that sets him on the path of drug trafficking and absolute destruction. His ascension to the king of the streets was marred in the blood and bones of his enemy, and what king can hold his throne without a strong army? Cripple Ho had the best backing any criminal could ever want… The police. Since this all happened in the 60’s and 70’s, he even had the support of the British. Cripple Ho’s main backer was a street-savvy cop by the name of Lee Rock. Andy Lau plays Lee Rock, and I swear he just about fused himself with the original man himself. Maybe its because he played Lee in the hit biography trilogy, Lee Rock, which details how the once good cop ended a being one of the most corrupted members the force has ever seen. We can only hope the real-life Lee Rock was as smooth and dapper as Andy portrayed him to be. Although they were brought together by mutual greed, Ho and Lee forged an unlikely bond of friendship that lasted till the end. Chasing The Dragon is a chilling tale of brash criminality that turned a city upside down. Don’t miss Donnie Yen, Andy Lau, Kent Cheng, Philip Keung, Wilfred Lau, Yu Kang, Michelle Hu and Raquel Xu in splendid form as the cast in this instant classic. Watch the trailer here, then pick up your copy when it releases on Blu-Ray and DVD combo on January 23rd.